As a journalist who has covered domestic violence for the better part of a decade, I’ve seen great change. But the abject horror I’ve seen, and the trauma I’ve felt is the constant. The first time I ever wrote an article about domestic violence was back in March 2001. As a rookie journalist in the first year of a cadetship at a small suburban newspaper, I was naïve. At the front of my mind was the ignorant question: Why does she stay? I was about to learn a key lesson in life, one I’d never forget. Things are always more complicated than they seem. My job was to listen hard and understand, not to judge. The woman I interviewed was given the pseudonym “Anne” in my story. She was tall and curvaceous with cascading, curly hair. I liked her straight away. She was funny, bright and open. During our lengthy interview, she detailed how her on-again-off-again partner Gary began belting her after their first child was born. The violence got worse and worse over the following eight years. When she was pregnant with their second child, Gary repeatedly throttled Anne until she blacked out. Gary constantly put Anne down and her confidence eroded. If she tried to leave, he stalked her. “The threats and manipulation override everything. He threatened to kill friends and family with a gun. They use the things you care about to get the things they want,” she told me. While each domestic violence situation is different, a pattern of coercive power and control is extremely common. Never again would I ask the question: Why does she stay? Many women are killed after leaving violent partners. After numerous attempts, Anne and the kids eventually managed to leave Gary behind and forge a new life. As a rookie journalist in the first year of a cadetship at a small suburban newspaper, I was naïve. At the front of my mind was the ignorant question: Why does she stay? While Anne was full of hope, she confessed that despite regular counselling her children remained psychologically damaged. For more than four decades feminists have been campaigning to put domestic violence on the public agenda in Australia. Progress was slow. Rosie connected each of us to the painful, human story. We wanted to take action and see change. Thankfully since then, Australian media coverage of domestic violence has been unrelenting. Ms Barry believes the media “plays a powerful role in bringing the issue of violence against women to our attention and shaping the national conversation. “There is a clear link between media reporting and community attitudes and beliefs in relation to violence against women,” she says. 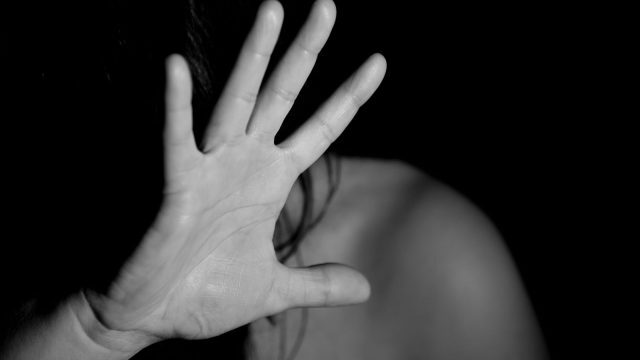 “While there has been much positive change, best practice reporting of violence against women in Australia is not always the norm, with victim blaming still present in one in six articles on the issue,” Ms Barry says. Another woman I interviewed remained in constant danger. Because of this, I took extreme care to obscure her identity in the article. However, this didn’t stop me worrying that something I’d written would identify her. Would she be hurt or even killed because of me? Another issue that concerns Ms Barry is the secondary trauma journalists can suffer as a result of reporting on domestic violence. “Look after yourself. Reporting on the issue of violence against women is confronting,” she advises. This is certainly something I relate to in an intensely personal way. In March this year, I interviewed a woman with an intellectual disability who had been abused by six different perpetrators in her lifetime. Afterwards, I found myself shaking and crying. Despite Jane’s unbelievable resilience and courage, I just wasn’t prepared for the unrelenting horror of her story. Karen is thoughtful. She’ll occasionally send a short text to check in with me. Whenever I call to debrief, she listens. As an experienced journalist who has also covered traumatic issues, Karen offers a sympathetic and knowledgeable ear. And somehow it really helps me face the next day of reporting. Be aware of the vicarious trauma you may experience and seek assistance if needed. Look deeper. If you are able, look beyond the incident of violence to understand what is driving men’s violence against women and how we can stop it. Include information about appropriate services such as 1800RESPECT so women reading know where to get crucial assistance.